Apple iOS 11.4 Beta 1 is now available to download for iPhone and iPad. Apple held an educational event quite recently. And in that event many new announcements were made, including new apps, new technologies and upcoming products from Apple. Apple along with a new iPad announced new tools for education, targeting teachers and student. These new tools for educations are part of Apple’s ClassKit Framework which is designed to help schools and students for increased productivity. This new beta update brings early access of ClassKit Apps so users can experiment with them. Apple iOS 11.4 will be available as public release in near future but right now only beta users and developers can access the latest build and try it on their respective devices. iOS 11.4 brings SchoolWork, Classroom, iWork Suite of Apps and some hidden apps as well which are removed previously or will become available later on. These includes Messages on iCloud and AirPlay 2. Not only new feature but iOS 11.4 Beta 1 also fixes some of the bugs in the previous build i.e 11.3. There are two ways that you can download the new iOS version. However, in order to get it, you must have the Apple Developer Program membership. If you want to sign up for it, you can get the membership for a fee of $99 per month. Click on Account on the top right and log in to your account. When you are logged in, find the Download button on the left from the dashboard. Find the download for Apple iOS 11.4 Beta and select “Over the Air” installation. It will ask you to install a beta profile on your iPhone/iPad. Do it. Follow the exact same steps as mentioned above till step 4 where you select “Over the air” installation. 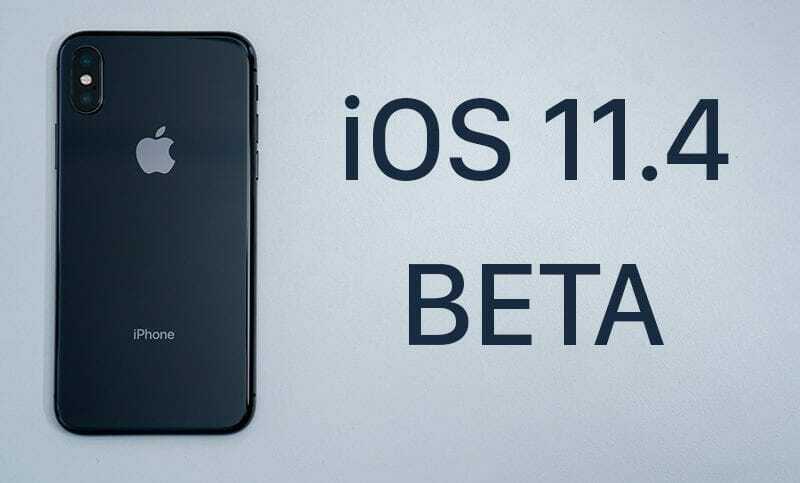 Instead of the beta profile, download Apple iOS 11.4 Beta IPSW file. This is how you download the latest iOS 11.4 Beta version for developers. If you have any problem with the steps, let us know in the comments.